With the coming demise of Google Plus, a platform where I cut my teeth as a photographer and met many wonderful creative people, many of us have moved to other platforms, including MeWe. This (mewe.com/i/elliekennard1) is where I can be found there, for any who want to join me there. I am no longer as active as I was on any social network as my life is much busier than in the days when I was so sick. But I will be sharing my posts there, as I find the platform to be not too bad a replacement for G+. Google invented the expression “Sunsetting” for what they will be doing to that platform on April 2. On that day I will share another sunset photo here and everywhere I am active, in recognition of the end of a great social network. Here is one I shared originally as part of my 366 Project back in 2012. We were out at this beach at Huntington Point in Nova Scotia last night and there was another quite spectacular sunset. 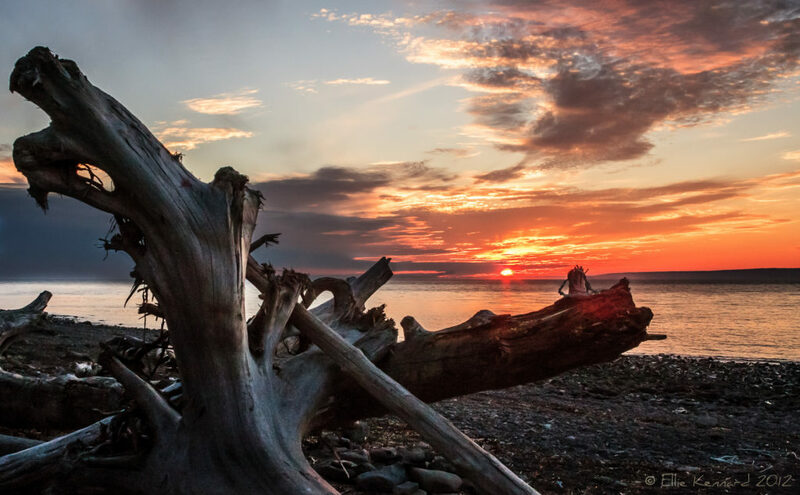 Although the scene might be a bit of a cliché, the driftwood, the stony Bay of Fundy beach and the low shore on the horizon is a very Canadian scene and I am glad to have a record of it for my project.